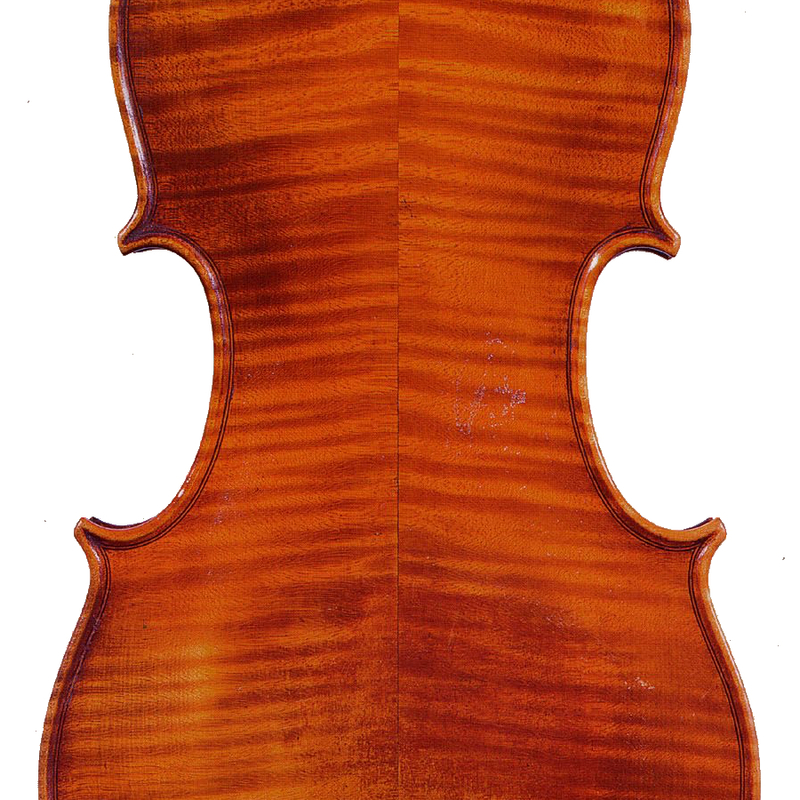 One of the best violin makers of his generation, Cesare Candi was born in Bologna and studied with Raffaele Fiorini alongside his brother Oreste before moving to Genoa around 1888. He started his own business in 1892 but began to make violins several ...Read More years later, probably after additional guidance from Eugenio Praga and Enrico Rocca. Candi emerged as the leading Genoese maker after Rocca's death in 1915, assuming curatorship of the 1743 Cannon 'del Gesù.' His generally neat style changed subtly over the course of his career, though an unusual construction method persisted: in a technique reminiscent of guitar-making, Candi used linings cut from a single piece of wood. An elegant rendering of Stradivari was his usual model. Varnish varies in color and consistency but is often gold or reddish orange, channeling at the edges is usually extremely deep, and scrolls are exquisitely carved. - The auction record for this maker is $55,609 in Mar 2019, for a violin.